It’s been nearly a decade since Dawes first emerged from Southern California, carrying with them a roots-rock sound that nodded to the past - including the West Coast folksingers and cosmic country-rockers who chased a similar muse during the 1970s - while still pushing forward. Over the years, the band evolved and electrified. The grooves deepened. The amplifiers grew louder. Once known for their honest approach to classic sounds, Dawes grew into something different: a forward-thinking, boundary-pushing band for the 21st century, willing to follow inspiration wherever it leads. 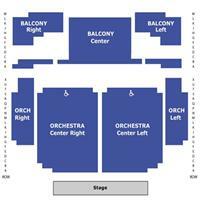 Friends of the Englert could order tickets early! If you are interested in becoming a Friend of the Englert please click here or contact the box office. 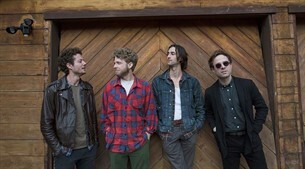 It’s been nearly a decade since Dawes first emerged from Southern California, carrying with them a roots-rock sound that nodded to the past – including the West Coast folksingers and cosmic country-rockers who chased a similar muse during the 1970s – while still pushing forward. Over the years, the band evolved and electrified. The grooves deepened. The amplifiers grew louder. Once known for their honest approach to classic sounds, Dawes grew into something different: a forward-thinking, boundary-pushing band for the 21st century, willing to follow inspiration wherever it leads. On the group’s sixth album, Passwords, that inspiration pulls Dawes into their most universal, topical territory to date. This is a record about the modern world: the relationships that fill it, the politics that divide it, the small victories and big losses that give it shape. Like a highlights reel of the albums that preceded it, Passwords bounces between gui-tar-driven indie rock, slick grooves, blue-eyed SoCal soul, and modern folk. At the same time, the album also embraces a spacier, experimental approach. Rarely has Dawes created such an appropriate soundtrack for the modern age.